US President Donald Trump’s decision to withdraw from the JCPOA nuclear deal with Iran has put the global oil market under pressure, while the Middle East is confronted by increased insecurity. While Washington’s decision to rip the Iran nuclear deal up was expected since the election of Trump, the market still seems to be having difficulties to cope with the aftershock. The threat of severe new US sanctions on Iran was already factored in, but Washington’s threat to hit Western and Asian companies dealing with Iran too has shocked the market. In the next 90-180 days, the US will reimplement former sanctions on Iran, targeting not only the oil and gas exports of the country, but also restricting commercial activities with Iranian companies and the government. All American companies will face a total blockade on dealing directly or indirectly with Iran. For non-US companies, these sanctions will have a detrimental effect too, as they will be faced with a situation in which no US products or finances can be used to operate in Iran at the same time. While most attention has been focused on the effects on oil and gas companies, such as Total, Shell and others, a whole range of other economic sectors, from airplane manufacturers to automotive, agriculture to shipping, will also be affected. For European and Asian companies this presents a fait accompli, even if European governments are still trying to save some of the JCPOA in the coming months. Without the option to access international financial markets, most Western deals with Iran will be put on ice. The threat of being hit by severe US fines will prevent most European banks and companies from even considering dealing with Iran. Existing contracts are also expected to be put on hold. For international oil markets, the situation is in a total flux. The last 72 hours have shown high volatility in the oil market. Brent crude even is hovering above the $77 per barrel level. Still, prices could stabilize if OPEC leaders Saudi Arabia and the UAE—in cooperation with Russia— are willing to export additional volumes to counter a possible Iranian export breakdown. Discussions seem to be ongoing with the USA to coordinate efforts, but real action is yet to be taken. Saudi Arabia and Russia are confronted by a win-win situation. A removal of Iranian oil from the market will increase prices without further production cuts needed. At the same time, all producers can even increase production without having to fear a price plunge. When a coordinated approach is not taken, the opposite could happen. A price hike is not welcome at present. Oil supply was already under threat, due to Venezuela, Nigeria and Libya, while prices were also moving up. A price hike could result in a demand destruction scenario, not wanted by all producers. Saudi Arabia’s unofficial drive to reach levels of between $70-80 per barrel has been successful already. Now it is time to reap the fruits of the current situation. If Iran’s oil exports are blocked (partially), the Kingdom and Moscow can both fill in the gap, while not destroying the market. The additional revenues will be welcome by all OPEC producers, unofficially even by the US. Volatility in the oil markets, however, is not only related to the threat of removing around 1 million barrels per day of Iranian crude from the market, at a time when demand and supply are reaching a balance, but also due to the flare up of violence and outright war threats in the Middle East. The pressure currently being put on Iran to address the new situation is expected to lead to some severe reactions from Tehran and its proxies. The first actions already have been reported in the last few days. Iran has been accused to have fired rockets from its military base in Syria to the Israeli-occupied Golan Heights. This is the first direct Iranian military move against Israeli forces. Tel-Aviv’s reaction was as expected, Israeli missiles have struck military installations of the Iranian Al Quds Brigade and Syrian army. These first skirmishes don’t bode well, as a military build up has been reported on both sides the last weeks along the Syrian-Israeli border. A full-scale confrontation is expected by analysts very soon, maybe even including Lebanon, as Iran’s proxy Hezbollah has amassed a strong missile capability in the country, able to hit Israel hard. Looking at the indirect effects of the Trump decision, increased instability is to be expected. Tehran’s hardliners will need to react, and the Syrian war zone is one of the most feasible ones. Hezbollah and Iran have threatened military action since long. The support of the anti-Iran Arab coalition for Trump’s anti-Iran stance, combined with Israel’s growing cooperation with Arabs to confront Iran, is another reason to expect this soon. Over the coming months, parties will need to find a new equilibrium. Washington, Saudi Arabia, UAE (and in the background Israel and Egypt), will need to find a way to implement a new strategy towards Iran without destroying at the same time the global oil market and regional security in the Middle East. The big unknown at present is what Iran and its proxies will be doing as a reaction, while Moscow has been extremely silent over the last couple of days. Tehran will need to decide if it wants to opt for the EU-Asia card to still save the JCPOA or full confrontation is on the table. Threats currently made show an inclination to confrontation. Direct military action by any party at present will threaten not only oil and gas supplies on a global scale but also the stability of the region. Cyril Widdershoven is a geopolitical and oil & gas analyst covering the Middle East and North Africa region, as well as Turkey. 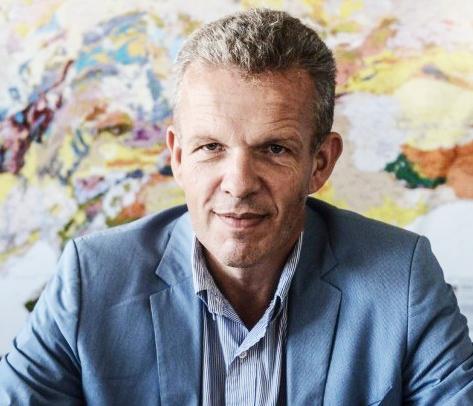 He is the founder and director of Verocy, a Netherlands-based consultancy.